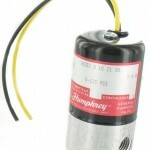 The Humphrey Tyna-Myte Series are available in two flow capacities. 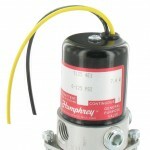 The 1/16” orifice 062 Series	and the 1/8” orifice 125 Series are available as a 2-, 3- or 4-way configurations. 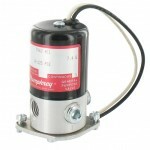 Valves feature a unique direct-acting design that does not require air supply lubrication. Conical poppets move in and out of mating seats; the absence of sliding seals or any metal-to-metal contact provides high reliability and long-cycle life. A controlled stroke length provides fast response and longer poppet life. Tyna-Myte Valves have several mounting options, including inline or the rugged, extruded aluminum TM Series manifolds.